Do you have a passion for connecting people with Native community-oriented primary health care services? The Community Health Representative (CHR) Program is a unique concept for providing health care, health promotion, and disease prevention services. CHRs have demonstrated how they assist and connect with the community, and their work has become essential to the spectrum of Native community-oriented primary health care services. CHRs are great advocates, in part, because they come from the communities they serve and have tribal cultural competence. Their dedicated work has assisted many to meet their healthcare needs. The health promotion and disease prevention efforts that CHRs provide have also helped people from the community improve and maintain their health. By providing health education and reducing hospital readmissions, CHRs have contributed to lowering mortality rates. The demand for CHRs continues to grow. Native Elder Caregiver Curriculum (NECC) (Download at NRCNAA website) is a 265-page training resource for families and caregivers serving rural American Indian elders, made available through the National Resource Center on Native American Aging, Center for Rural Health, University of North Dakota. The NECC has been designed as a tool to assist caregivers who have the responsibility of caring for their elders. The NECC curriculum focuses on topics that have been identified by elders and caregivers in rural Tribal communities as being useful in the provision of community‐based elder‐care. Indian Health Service (IHS), an agency within the Department of Health and Human Services, is responsible for providing federal health services to American Indians and Alaska Natives. The provision of health services to members of federally-recognized tribes grew out of the special government-to-government relationship between the federal government and Indian tribes. This relationship, established in 1787, is based on Article I, Section 8 of the Constitution, and has been given form and substance by numerous treaties, laws, Supreme Court decisions, and Executive Orders. The IHS is the principal federal health care provider and health advocate for Indian people, and its goal is to raise their health status to the highest possible level. The IHS provides a comprehensive health service delivery system for approximately 2.2 million American Indians and Alaska Natives who belong to 573 federally recognized tribes in 37 states. The National Indian Council On Aging, Inc. (NICOA), a non-profit organization, was founded in 1976 by members of the National Tribal Chairmen’s Association that called for a national organization focused on aging American Indian and Alaska Native Elders. International Association on Indigenous Aging: IA2 works to identify and implement the most effective solutions to the most significant issues facing American Indians, Alaska Natives and indigenous people around the globe. The organization helps people and programs figure out how to competently and effectively access and serve Native American elders. 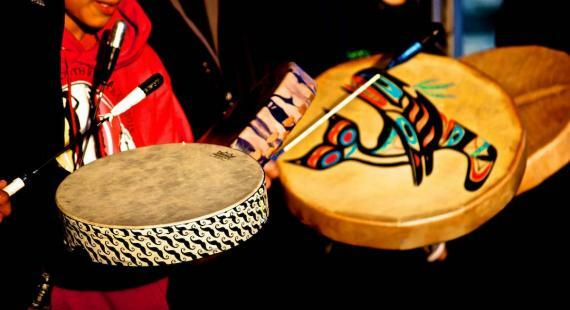 They work to advance both knowledge and practice, and promote engagement at all levels – national, regional, and local, acknowledging the history, rights, cultures, and value of indigenous people throughout their lifespans. This calendar includes Indigenous Aging events (blue) & free community talks and programs for people living with memory loss offered by the UW ADRC/Memory and Brain Wellness Center (golden). Curious about dementia-friendly communities? Everyone can play a part in developing dementia-friendly communities or spreading awareness. Visit our page for inspiration, guidance, and practical tools at a local and national level.